I have been a full time artist since 2004. I gain much artistic knowledge from my artist father, Geoff Hunter, as we work together in our studio, in Linden, Johannesburg. 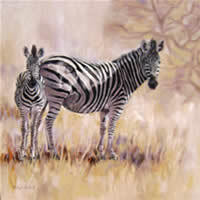 Geoff's speciality is wildlife painting. 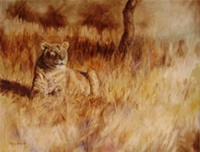 Studying and rendering our heritage of beautiful animals and the bush, invoke peace and a sense of purpose. 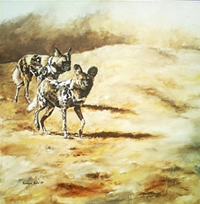 We aim to create awareness and support for the South African wilderness through visual art. I exhibit at Artists Under the Sun at Zoo Lake on the first weekend of every month, which is enjoyable as I am able to correspond directly with art enthusiasts. 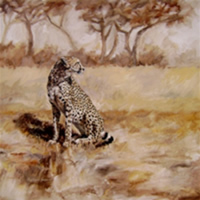 I also exhibit in South African galleries and undergo private commissions including portraits, figures, landscapes, wildlife and other special requests.